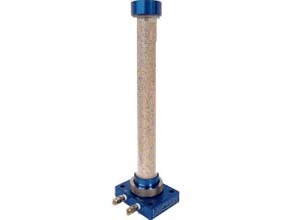 If moisture is the main impurity you would like to remove from an inert gas, our DGF or RGF series of filters are ideally suited for your needs. 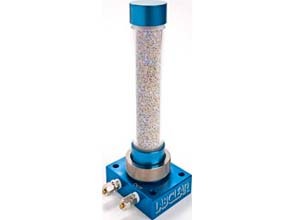 The LabClear™ gas filter is designed to remove water, oil, and other impurities from inert carrier gasses such as nitrogen, helium or argon. A mixture of Drierite® (an indicating desiccant) and 13X molecular sieve are contained within the transparent LabClear™ canister. The Drierite® will change color from blue to pink with the adsorption of moisture. The color change is readily observed through the clear acrylic body, indicating a need for refilling. 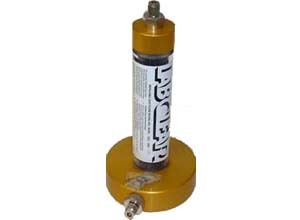 In addition to removing moisture, we also have LabClear™ hydrocarbon traps to remove hydrocarbons from your gas stream. Both these models contain indicating Drierite® desiccant and #13X molecular sieve. The body of the filter is constructed of clear PVC for easy viewing of the Drierite® color indication, which changes color from blue to pink with the absorption of moisture and comes equipped with 1/8" or 1/4" brass male tube compression fittings. Each unit is tested at 125 psi, and can withstand temperatures up to 100°C. 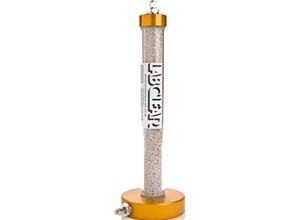 The LabClear™ Disposable Gas Filter is offered only in the 200 cc capacity with the inline configuration, and is approximately 7" long by 2" in diameter. Both these units are designed for a nominal flow rate of 5 liters per minute. 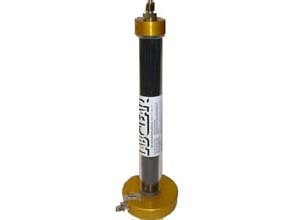 Our specialty filters are designed to remove hydrocarbons from inert gases. They contain activated carbon and are available in both disposable and refillable form. Approximate dimensions of the base: 4.5"x3.5"x1"
The small units are approximately 7 1/2" long (or tall, for RGFB) x 2" diameter. The large units are approximately 14" long (or tall, for RGFB) x 2" diameter. All models are tested at 120 psi and 100°C. They are designed for a nominal flow rate of 5 liters per minute. Filter refill kit, enough for fourteen 200 ml or seven 400 ml cartridge.